Preparing for SXSW is not totally unlike getting ready for any other gig, but also it's overwhelmingly different. Planning starts months ahead, and everything's amplified: more merch, extra rehearsals, a meticulously plotted travel plan, arranging accomodations – and those are just the basics. Winging it simply isn't an option. A handful of artists performing at this year's festival gave us the rundown of how they're getting organized. We've highlighted the top tips, but we recommend reading thoroughly rather than skimming. There's a lot to consider; there could be a tidbit in here you hadn't thought about. Double, triple, quadruple check yourself, people. "Practicing, practicing, practicing! Not just rehearsing the setlist with my drummer, Fabio Rojas, but really getting my voice and guitar skills in the best shape possible. We have been recording, so that has helped us in being rehearsed. Since we will be performing in duo formats we are working on some arrangements that best fit the tunes. Starting February 29, we will be having a minimum of two full rehearsals per week before our showcase. "As far as travel accommodations, we were informed on February 9 that our show was scheduled for Thursday, March 17, so we didn’t get plane tickets until February 10. I was surprised to see the messages in Expedia saying, 'You and 103 people are booking flights to Austin right now,' 'You and 52 people are looking at this hotel.' Prices went up by a little over $100 in just a matter of a couple of days. Luckily, I had AAdvantage miles, so my flight only cost $11. Hotels also get more expensive as SXSW gets closer. I ended up booking a hotel room that was $40 cheaper the night before. Some hotels have a free cancellation/change policy, so I would recommend booking with anticipation and then adjusting your stay according to the date of your showcase. We plan to stay in Austin from March 16 to 19. "With budgeting, I am being as careful as I can be, but I want to do things right. I am thankful for a bonus I got this year from work (I edit audio for podcasts), which I have been saving for my musical adventures. We may have to rent a backline (we are waiting for the confirmation), which hopefully won’t be too expensive. That would be the better option than the hassle of traveling with drums on a plane and paying baggage fees. I play guitar, so of course that is something I’m taking with me, and we will have some synth pads in one song, which will be played with a nano midi controller and a laptop." 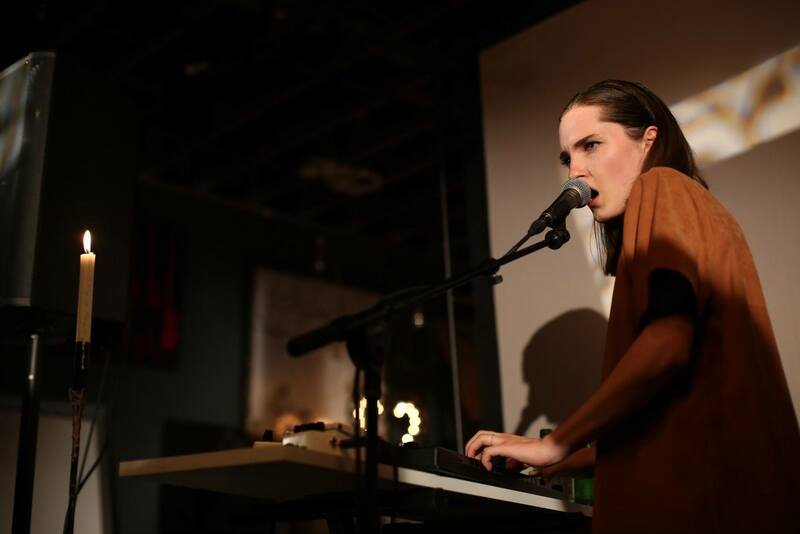 "[Lena Fayre] started preparing for SXSW by rehearsing and performing with a full band. In the past, she has always been a duo: herself on mic and synth and another member on a drum pad, synth, and a little guitar. She now has a live drummer, keyboardist, and someone on synth/guitar. This is an important shift for her as a live musician, both in regard to her professional career and heading to SXSW. "From now until SXSW, rehearsals are booked, and travel accommodations have been made. Together, Lena and myself are working on the live performance by collaborating with LA-based visual artist Corinne Bernard who is making amazing projections. We have ideas for stage decor and styling... super exciting. "Words of advice for musicians: wear comfortable shoes. One of the only methods of transportation is by foot... the bike taxis are expensive. Also, pack for all weather. It poured rain last year; protect your gear!" "Me and the other members of my group are all planning to release new material, whether a new song, album, or video, to promote our appearances at SXSW. I'm also getting my setlist together and figuring out how expensive it can be to travel and stay in Austin. You don't want to wait until the last minute to do all that stuff. We're also communicating with the people who booked us for the festival, making sure that everything is lined up and nothing conflicts. At the same time, we're also trying to let as many press outlets as we can know about our performances and material. With so many cool musicians in town during the festival, it can be easy to be overlooked. "You definitely want to be aware of what your situation is going to be. If you're trying to network and meet people, cards and flyers are good. CDs are good to give if you make a personal connection with someone. But I feel like the streets are always littered [at] SXSW with flyers and CDs. A business card is easier for people to put in their pocket or purse or wallet and have for later on. "You also want to make sure you have enough cash. Even though there's tons of free stuff to have during SXSW, sometimes you're a little intoxicated and spend way too much money on things. "Also, look up all the SXSW lists on Twitter. That's where you'll find all the info on what's really going down, all the dope parties, free food, and swag. Stay up on it now up until the festival's over, because that's how you'll know about stuff way before anybody else does." "Every weekend, my artist [Ronnie Lott] rehearses at our studio. He is scheduled to perform on the opening weekend of SXSW, so we will travel to Austin on Saturday afternoon via my SUV, since Austin is one hour away. We have already made hotel reservations at the Residence Inn suites. We have been allocating funds for SXSW since October, so our budget for the week looks very good. "I'm [constantly] on my SXSW Social app checking out who will be giving what seminars and sessions at what time, and adding it to my electronic calendar so that I'm on schedule to attend." "Practices makes perfect. I have been practicing for this performance since I knew that I would be back in Texas. Not only practicing the words of my songs, but I feel that my interaction with the crowd is a little more important. Having an idea of how you’ll perform is key. You can practice the words all you want, but it will always be different when you’re in front of a crowd of people. "Also, I’m purchasing business cards as opposed to handing out hard copies of my project. They are less costly and will hurt less if I see them lying in the middle of Sixth Street. "It’s also never a bad idea to plan on shooting music videos out there. I definitely planned a little last minute, but I linked up with a photographer/videographer who will be following me out there to help me get shots of my performance and also agreed to shoot a music video for me. "It is also very important that you book hotels and flights in advance. This is my second year going, and I knew better this time, but due to certain circumstances, I still booked my reservations a little later than I would like, which proved costly. The prices for everything skyrocket closer to the festival, so make sure to plan way ahead!" "We took a few days to travel down from Pittsburgh. Already, we have made stops to perform in Nashville, Memphis, Dallas, and Georgetown. We are going to be doing most of our prep semi-locally in Austin as far as doing open mic nights Sunday to Wednesday to meet some locals and tell our story. "I've been reaching out to a lot of coffee shops and unorthodox venues off of Sixth Street in Austin to see if we can play during SXSW; I've had overwhelming good success with it! I came into contact with place called the Blue Cat Cafe. It's a shelter for cats (that anyone can adopt), and it has nice, large parking lots filled with vegan food trucks. After speaking with the manager, I am now booking their whole week of unplugged acoustic sets in the cafe! "Being able to offer shows to locals and other musicians is a great way network and potentially swap some showcases.... At this point, we will spend most of our time going out to local shows in Austin and surrounding area to support the music with the hopes of making new friends and connections to help make our first SXSW experience one to remember." How are you preparing for SXSW? Let us know your tips in the comments!